Fundamentals Success: A Q&A Review, 4th Edition: This new edition of the popular review book features more than 1,340 classroom-tested, NCLEX-style questions—including more than 440 alternate-item-format questions—reflect the latest advances in medical technology as well as the most recent guidelines and standards of care for nursing practice. Occupational Therapy Examination Review Guide, 4th Edition: For years this review guide has helped thousands of students prepare for the NBCOT. The 4th Edition mirrors the latest NBCOT exam blueprint and the question formats—multiple-choice and simulation at the difficulty level and in the decision-making style of the actual exam. More than 1,000 questions in five practice exams help you identify your strengths and weaknesses while you improve your test-taking performance. Davis’s Nursing Skills Videos: An excellent video series for nursing students, available as a DVD for Fundamentals, Online for Fundamentals, DVD for LPN/LVN, or online for LPN/LVN. Sale: Pick up those latest and upcoming products at a special price with promo code SOCIAL15, good for 20% off with free shipping at fadavis.com. 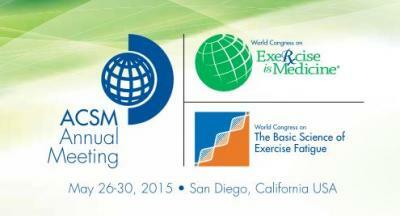 ACSM: This week we’re headed to a great town, San Diego, for the annual American College of Sports Medicine conference. If you’re attending, come say “Hi” to Quincy and Sam at booth #633 and see our new Exercise Science resources! That’s it for this week, see you next time! ← Where Will Your Career in Health Care Take You?